Oregon State University hosted the first Code4Lib conference in Corvallis, Oregon in 2005. In the spirit of celebrating the conference's 10th year, OSU wants to bring Code4Lib back to Oregon. We propose to host the conference in downtown Portland. We have had discussions with several downtown hotels including the Portland Marriott Downtown Waterfront and Hilton Portland & Executive Tower. These venues have the capacity to host the conference at between 400 and 550 attendees. Dates available include the weeks of February 2nd, 9th, and 25th. Though final rates will depend on sponsorship and other details, our target is to keep registration near $165; the group hotel rate would be between $140 and $160. Inspired by Dan Chudnov's keynote at Code4Lib 2012, we endeavor to expand Code4Lib to be as accommodating as possible to a larger audience. This may involve a two track program. We are aware of the added complexity, but believe the community can handle it and that it is worth doing. Alternative hotel options include the NW Portland Hostel, which has shared dorms from $21/night and private rooms between $50 and $70, and many other hotels in the area, ranging from the Econolodge near the PSU campus just south of Downtown to the uber-hip Ace Hotel. Portland sits on the Columbia and Willamette rivers. With a population of just over 600,000, the city is known for its outdoor activity, scenic bridges, coffee, beer, food carts, and twee. The climate is mild (if wet), and the area is green year-round. For a late February or early March conference, there's even a chance for cherry blossoms. Portland International Airport has direct flights throughout the US and Canada, as well as Japan. Portland's light rail system (MAX) runs directly from the airport to potential downtown conference locations and hotels. You can also reach Portland via Amtrak from up and down the west coast. Union Station is a ten minute walk from potential venues. Portland is an easy city to get around, with small blocks designed for walkability. MAX, streetcar, and buses make it easy to get just about anywhere from downtown. With any luck our beleaguered bike share will also be up and running, giving you another option for moving about. The city's Cultural District is within walking distance of downtown hotels. The Multnomah County Library and Portland Art Museum are in this area, as well as the Northwest Film Center, the Portland Center for Performing Arts, and the Oregon Historical Society. Portland also boasts a thriving indie music scene. Some of our best live music venues include Doug Fir, Mississippi Studios, Crystal Ballroom, Holocene, and Valentines. The restaurant and dining scene has emerged in recent years to make Portland a notable food destination. The city is known for its over 700 food carts, and other dining options have grown along with the breweries and the nearby wine regions. The restaurants are creative, relaxed, and usually have great vegetarian and vegan options. Try Le Pigeon, Bent Brick, Veritable Quandary, Paley's, or (Portland's mainstay) Higgins. All are within a mile or two of the conference. Or a bit further out, look for Pok Pok, Nostrana, Castagna, or Beast. The seafood is especially noteworthy; if you like oysters Dan & Louis is the place to be. Portland is also a brunch town. If you are around before or after the conference, it would be worth it to beat the crowd to Mother's, Broder, or Toast. Portland has in the range of 50 breweries (many with multiple pubs or taphouses scattered across the city) and serves as a hub for a larger Oregon beer scene. Unique offerings are available from Eugene, Bend, Hood River, Newport, and breweries throughout the Willamette Valley. It also rests in Oregon's Willamette Valley wine region, and is neighbored to the Columbia Valley region of Washington and Oregon. The Willamette Valley produces Pinot Noir that is not to be missed. 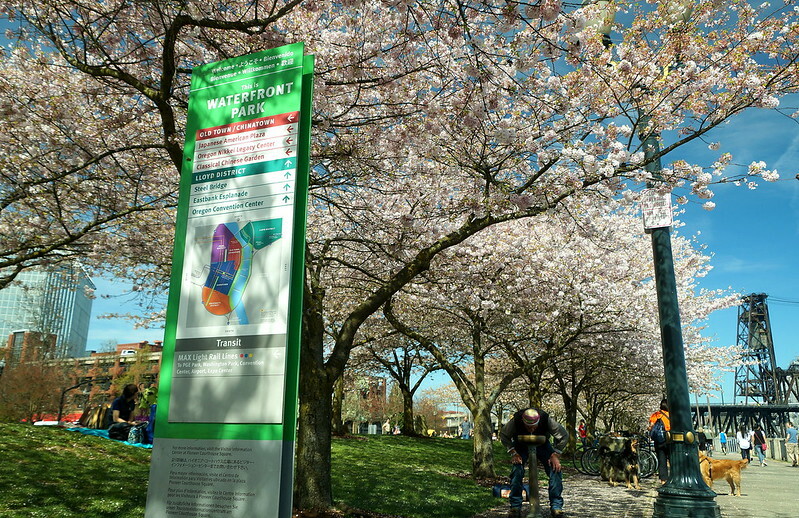 To get outdoors, Waterfront Park and Mt. Tabor City Park offer urban options, while Forest Park is in easy striking distance for runners, hikers, and Sauvie Island is reachable for cyclists. Also checkout the International Rose Test Garden. A few other nearby places of interest include Powell's City of Books (the largest new & used bookstore in the world) and its technical books annex, Voodoo Doughnuts, Ground Kontrol (an arcade/bar with golden-age games and pinball), and the Portland State University and Oregon Health and Sciences University campuses.